Hastelloy C276 Round Bars & Rods Manufacturer, Hastelloy C276 Round Rods Supplier & Exporter in India. Manufacturer & Exporter of Hastelloy C276 Round Bars & Rods, Hastelloy UNS N10276 Hex Bars, Hastelloy C276 Square Bars & Hastelloy C276 Round Rods Supplier in India. We are one of the prominent manufacturers, suppliers, and exporters of a wide range of Hastelloy C276 Round Bars. Known for resistant to general corrosion, crevice corrosion, intergranular attack, pitting and stress corrosion cracking. These Hastelloy C276 bars find wide applications in industrial applications such as absorption tower, re-heater and fan in the FGD system. Driven by an intense to attain maximum customers’ satisfaction. 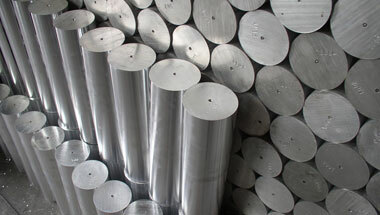 Hastelloy C276 Round Bar is a nickel-iron- chromium alloy with titanium, copper, and molybdenum. Hastelloy C276 Round Bar composition provides great resistance to many corrosive environments, such as pitting, crevice corrosion, intergranular corrosion, and stress- corrosion cracking. The hot- working range for Hastelloy C276 Round Bar is 1600 to 2150º F. The material has good weldability by all conventional processes. Hastelloy C276 Rods, Hastelloy C276 Werkstoff Nr 2.4819 Round Bars, Hastelloy C276 Round Rods, Hastelloy C276 Hexagonal Bars, Hastelloy C276 Bright Bars Supplier & C276 Bars Exporter in India. Africa, South Africa, Iraq, Canada, Ghana, London, Egypt, Brazil, Dubai, Sri Lanka, Trinidad and Tobago, Kuwait, Ethiopa, Thailand (Bangkok), Venezuela, UAE, Azerbaijan, Nigeria, New Zealand, Australia, Cameroon, Argentina, Israel, Democratic Republic of the Congo, Uganda, Bahrain, Houston, Mozambique, Indonesia, Angola, UK, Iran, Mexico, Morocco, Algeria, Germany, Saudi Arabia, Italy, Vietnam, Peru, Russia, Sudan, Turkey, Colombia, Malaysia, Chine, United States, Kazakhstan, Tunisia, Jordan. Omdurman, Sharm el-Sheikh, Tel Aviv, Tripoli, Brazzaville, Aqaba, Lubumbashi, Byblos, Abu Dhabi, Rabat, Lagos, Dakar, Freetown, Dammam, Alexandria, Jerusalem, Yaoundé, Ibadan, Casablanca, Amman, Durban, Addis Ababa, Dubai, Muscat, Luanda, Algiers, Soweto, Hong Kong, Bamako, Doha, Abidjan, Bethlehem, Istanbul, Mbuji-Mayi, Kinshasa, Cape Town, Ouagadougou, Kaduna, Zaria, Benin, Subra al-Haymah, Beirut, Nairobi, Kano, Harare, Kolwezi, Riyadh, Khartoum, Port Harcourt, Maiduguri, Kampala, Mecca, Tehran, Cairo, Maputo, Conakry, Lusaka, Jeddah, Cairo, Accra, Giza, Bulawayo, Data from the UN, Fez, New York, Pretoria, Johannesburg, Colombo, Port Elizabeth, Douala, Antananarivo, Manama, Dar es Salaam, Mogadishu, Singapore.